(SKNIS): In keeping with the high level of accountability of his Team Unity Administration, Prime Minister Dr. the Honourable Timothy Harris reported today at the Sitting of the National Assembly that the performance on the Reduced VAT Rate Day on December 16, 2016, was record breaking, surpassing the performance of 2015. The prime minister said that the underlying objective of the Reduced VAT Rate Day is to foster a higher level of consumer spending within the federation. “Consumer spending accounts for a large proportion of our GDP and December generally is one of the best-selling months for retailers. By incentivizing consumer spending, we hope to generate increased economic activity within the economy such as increased jobs, increased growth and higher value for money by consumers,” said Prime Minister Harris. 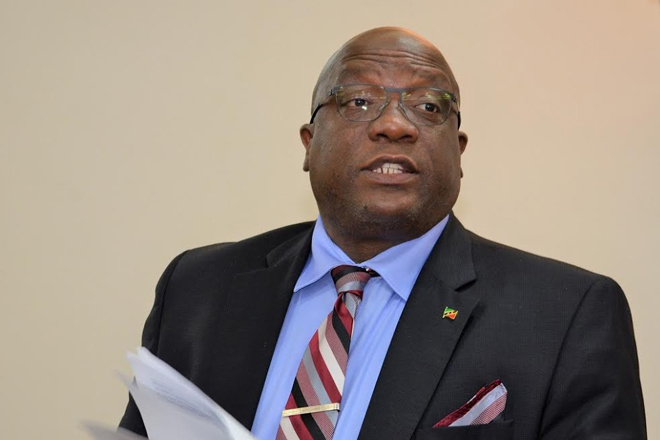 Prime Minister Harris said that the federation recorded the highest level of sales ever generated for any period of discounted VAT rate day or days over the six years that such a reduction was offered. “For the year 2012, 2013 and 2014 there were two discounted VAT rate days and they yielded total sales by the VAT registered businesses ranging from EC $26 million for those two days to EC $40 million for the two day period undertaken in 2014,” said the prime minister. Dr. Harris said that in 2016 the total sales recorded by businesses participating in the reduced VAT rate day amounted to nearly EC $41 million with three outstanding reduced VAT day reports not yet stated. “All the reports are not yet in. Three schedules are still outstanding and at this particular moment in time we can report that 2016, for one day, has been the best performing Reduced Vat Day ever on record,” said the prime Minister. He said that the stellar performance is even made more so when looking back at previous years. The prime minister said that the record breaking performance speaks to the economic health of the country. “The facts relate that 2016 VAT Reduced Day was the best one on record,” said the prime minister.